If you have some PDF documents which are protected by the encryptions from being printed, modified, copied or added annotation, maybe you need remove password from the PDF document. 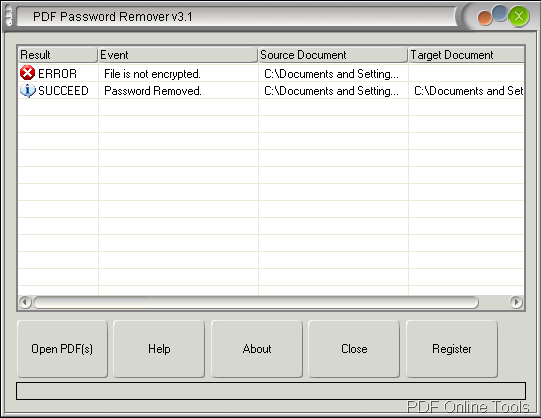 The application which will help you do this kind of word is VeryPDF PDF Password Remover. PDF Password Remover is a professional program which is specially designed to remove password for encrypted PDF document so that you can easily do different operations to the files like copy, print, modify, etc. By using this application, you don’t need any other PDF reader or maker, which means that it is a stand-along application. Both 40-bit and 128-bit encryptions are all supported by PDF Password Remover. Both GUI and command line methods are supported. To use the application, you need to download it via clicking here and double click the installer, follow the setup wizard to fulfill the installation. Now you will be able to use this program to remove password from encrypted PDF documents. Click Open PDF (s) button and choose the document (s) you want to add. Directly drag and drop the PDF (s) into the interface of PDF Password Remover. Note: If you have added in PDF without any encryptions, Error which shows File is not encrypted will appear in file list. After adding PDF (s) into the application, the window for saving target file will popup automatically. (Note: Please input a new name instead of the original file name). Then click Save button. The above interface will display with the status of the password removal. When the process is over, it will remind you "Succeed" and then you can view the target file which can be opened in any PDF viewer without any restrictions at once. In the command line, pdfdecrypt stands for the called program and you need to use its full path when calling it. –I with C:\sample.pdf stands for the path of source file. –o with C:\decrypt.pdf stands for the path of target file. Then please hit Enter button to run the conversion. -i [pdf file name] : decrypt PDF filename or directory. 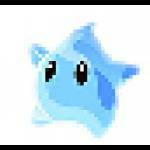 -o [pdf file name] : PDF file will be generated. If you not specify the -o parameter, the default output file will overwrite the input PDF file. -v: view the decrypted PDF file after decryption. -l [log file name] : specify log file for output message. If you want to get more information about Password Remover, just enter its homepage by clicking here.